1. Make A List, Start Checking It Twice! Start right now making a note of who needs to know you have moved. Collect every piece of mail from today to settlement day so when the time is right you can advise them of your new address. Even if the bill or newsletter comes in by email they most probably have your address on record. Drag those emails into their own ‘Moving’ folder so you can notify them all of your new address. You may have done this as part of preparing your home for sale but it may be worth doing it again. If you have boxes of stuff that you haven’t unpacked after the last two moves then maybe it’s time to let it go. Moving day goes a lot quicker if you have 30% less stuff to pack and move and then unpack at the other end. If you are planning on getting some new furniture for the new house then either sell or gift the old furniture before you go. Does this item ‘spark joy’ for me? If either of those answers is no then I’d consider starting a pile for the local charity shop. Imagine how smug you can feel when you are so organised in your new home. Make friends with a local retailer and ask them how you can get hands on empty boxes…lots of them. Offer to pop in once a week to pick any up they have spare. Ask what the best day is to visit. It’s recycling! Imagine you have time travelled to your new home on moving day. What could you possibly need that you don’t want to have to search through hundreds of boxes to find? A jug, coffee cups, tea, coffee, sugar, long life milk, teaspoons, a box cutter , rubbish bags, first aid kit and toilet paper. Let’s start with the important stuff. Plates, cutlery, dishwashing liquid, a dish brush and a couple of tea towels: You may still be busy unpacking when you stop for dinner. Cleaning Products: You’d hope your new home is sparkling clean but not everyone is as conscienscious as you are. Best have the vacuum cleaner and mop handy as well. Pizza Vouchers: I doubt you’ll be wanting to cook after a day of moving. Being able to send someone out for takeaways should make the end of the day a bit easier. Picture Hooks: If you live near the North Shore coastline you’ll most probably notice how even the stainless steel picture hooks can rust and stain the walls. This may be a good time to start afresh with a set of aluminium hooks. Tools: Hammers, screwdrivers and a set of pliers should be the minimum but think about connecting washing machines, etc. Pen & Paper: We all love making lists. Tradesmen: Have their details on hand should you need to contact a plumber or an electrician. Whether you are using a removal company or a group of friends when they rock up, motivated on moving day, what can they start on? Clear a space where the only things that can go in there is stuff that is ready to be moved. For most people this is the garage because it is close to where the moving truck or van will be. Leave some room at the front for last minute, important stuff. Imagine you are trying to get the kitchen sorted and your team of helpers has to ask you where everything goes. Label every packed box with what it is and where it should go. 7. Start Packing Some More Now…What Don’t You Use? It’s summer so the winter sports gear won’t be in demand in the next 6 weeks….pack it! Old photo albums, paintings, etc….wrap well. If the slow cooker and bread maker won’t see use….pack it away. What else could you pack away now that you won’t be using between now and moving day? Will the kids be moving schools? Best contact the schools now regarding enrolement and familiarisation. Where are the local shops, clubs, pools, etc. Talk to your power, gas and telephone/internet suppliers about moving your accounts from your current address to your new one. Candlelight dinners can be romantic but they wear thin after a few days. Take a photo of the connections to all your electronics that you’ll have to disconnect and then reconnect at your new home. If need be use some masking tape and label each lead. You’ll treasure this advice on Moving Day. You most probably still have over 30 days before Moving Day. 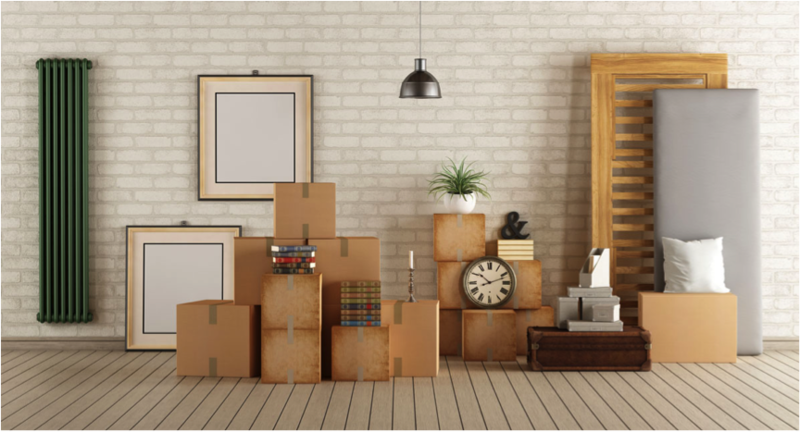 Make a plan so that you spread out all the jobs you need to do between now and then so that you are completely ready to move when your friends or the movers arrive on the day. Wanly is a trusted and experienced real estate agent selling on Auckland’s beautiful North Shore and based at the Harcourts Cooper & Co Real Estate office in Browns Bay.